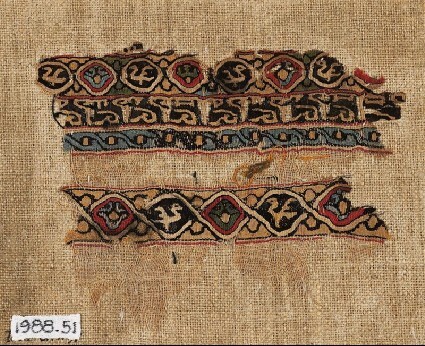 Two tapestry bands are woven into a plain fabric. The tapestry is woven in silk, coloured red, black, yellow, green and blue. One band has interlacing roundels with birds and palmettes, the other combines three design bands, including a blue interlacing, a pseudo-inscription, and a slightly smaller repetition of the interlaced roundels. 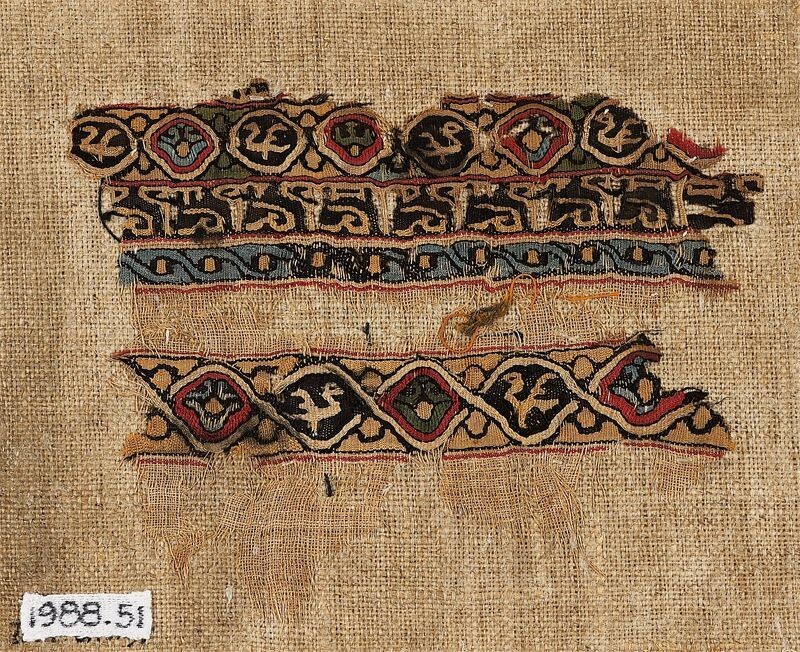 The fragment has been sewn onto a hessian backing. Purchased at Akhmim. Rev. G.J. Chester Collection.